Pierre Akendengue’s new album, DESTINEE is, in a word, wonderful. The songs feature rumba, folklore, and European elements all presented in Akendengue’s distinctive style. The lead guitar on almost every song is masterfully played by the great young Congolese guitarist Olivier Tshimanga and is, at times, simply breath-taking. The first two songs and the seventh are classic Akendengue and truly illustrate how closely related his music is with that of the late Francis Bebey of Cameroon. For those who like to dance, the third song is a lovely little rumba and the fourth song, LUANDA, incorporates Lusafrican stylizations in a fantastic tribute to the thriving capital of Angola. And don’t miss a chance to listen to song 5, MA FORET, as it recalls one of Akendengue’s greatest albums and one of my favorite songs, PIROGIUER. You will want to listen to song 6, ENEKA, over and over again. It is a stunningly beautiful song, beautifully composed, arranged and presented with some of Tshimanga’s most impressive guitar on the album. I want to like SAH! SAH!, a very up-tempo folkloric song. 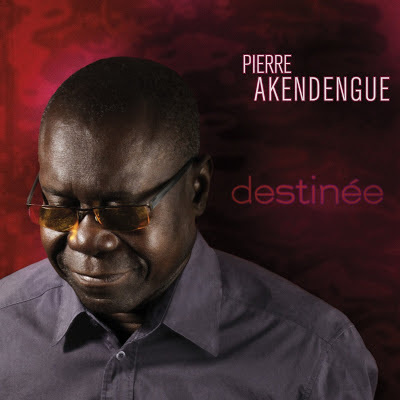 It has a Congolese-style sebene, Akendengue’s marvelous voice and some Antillean elements thrown in as well. Though it is a bit contrived for my taste, I’m sure that many will love it. Y’A PLUS DE PECHE, touted as a “latin” song is very Antillean and Akendengue seems a bit out of his element with this one. 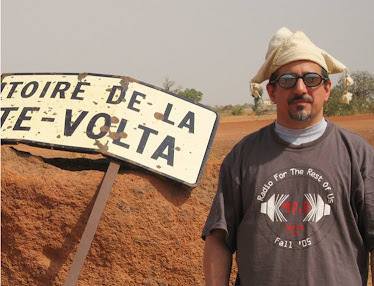 The album’s last song, DONGWAMBEYA, is a very European number, almost a French café song, a genre played extensively in central Africa for many decades. It’s very well done and the incorporation of African elements shows once again his affinity with Francis Bebey.